At the heart of small business marketing are the campaigns that drive action – collections of marketing activities that help a small business or organization to achieve its goals and objectives. 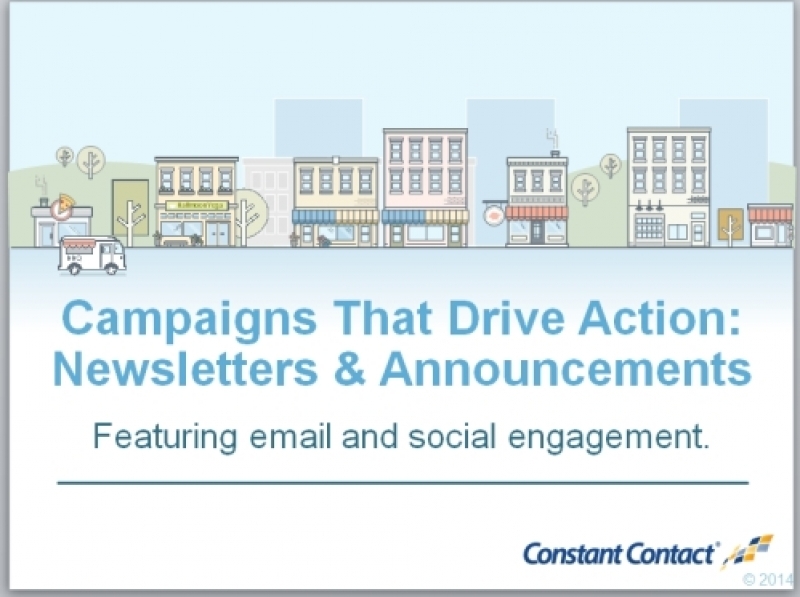 Newsletters and Announcements have become a core component of those campaign choices. Email is more important than ever – to the communication efforts of businesses and nonprofits everywhere; and to the customer, donor, client or supporter of those organizations. 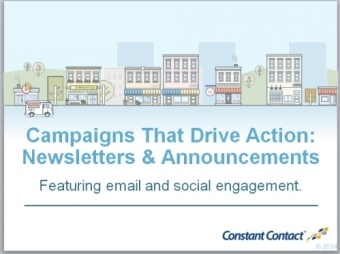 This session will reveal some simple but effective best practices and considerations for the small business or nonprofit seeking to make their email newsletters more effective. The importance of understanding how connected email and social media are…they have to be done together. What types of additional tools might be useful Join us and learn some great new strategies to help your email and social media efforts be more effective components of one of the core campaign types, newsletters and announcements. marketing knowledge, or to reinforce what it is they already know. NOTE: All topics (except for the product training) are educational and will not directly promote Constant Contact products. Information discussed in these sessions can be applied regardless of the marketing tools being used.